Great to see the Black Pear Press short story competition is shown in the July 2016 edition of Writing Magazine. Hester views Simon with maternal affection, unaware that he harbours a dangerous obsession. The seeds of destruction have their roots in Simon’s bitter and lonely childhood. On the death of his grandfather he becomes wealthy enough to abandon his teaching job and, with ruthless determination, plans to remove anyone who stands between him and the attainment of his dream. Gradually losing all touch with reality, his behaviour becomes increasingly bizarre, with terrifying, destructive consequences. Frances Bennett was a war baby, born in Dorset. Due to her father’s work, she moved home frequently until she was around ten years old. Her brother, nine years older, was away at boarding school and then worked in London, so Frances felt very much on her own. She was a solitary child and a voracious reader of Dickens, Thackeray, Kipling and more. They gave her an immense love of words and the separate world we enter when lost in a gripping story. Frances had varied careers including those in antique jewellery and restaurant management; had a family, divorced, remarried happily to an artist but was widowed three years later. Main sources of enjoyment for Frances include reading, writing, classical music, theatre, cooking, eating out and socialising with family and friends. She lives near Worcester Cathedral. Frances says she’s been writing on and off for twenty-five years. She’s completed four novels, several short stories and ‘some poetry’. Seeds of Destruction is the first novel to be published. Seeds of Destruction was launched Sunday 12 October, 16:00-18:00 at St Swithun’s Institute, to considerable acclaim. The paperback is available from Amazon here. The eBook is available from Amazon here. Worcestershire Poet Laureate 2013, Tim Cranmore, launched his book of poetry ‘Barred’ at the Old Rec in June this year. Black Pear Press are pleased to confirm that the book is available via PayPal or from Amazon as a paperback or an eBook, see below. Tim Cranmore was born in Worcestershire, England, and originally trained as a biochemist. Tim says he likes the idea of the 18th century musician producing a slightly worn instrument from the depths of his frock coat, and playing with his friends in the local coffee house. He is well known for his ability to make a recorder from a carrot and has entertained many with his demonstrations of doing just that! 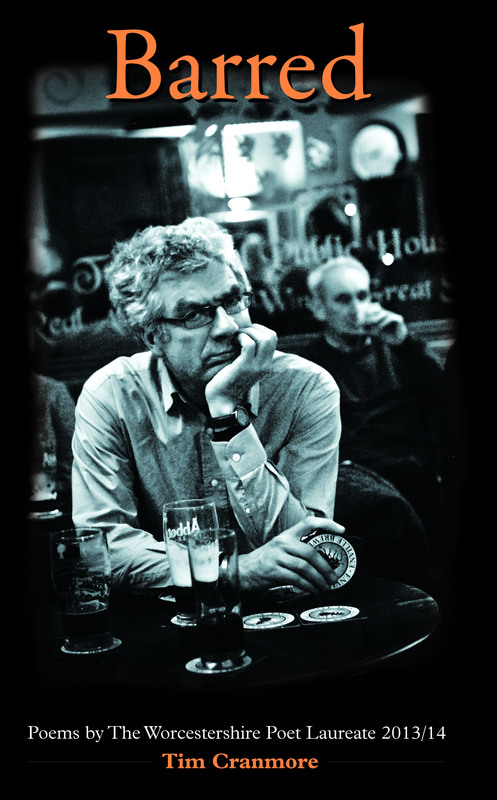 Well known on the spoken word circuit, Tim became Worcestershire Poet Laureate in 2013. 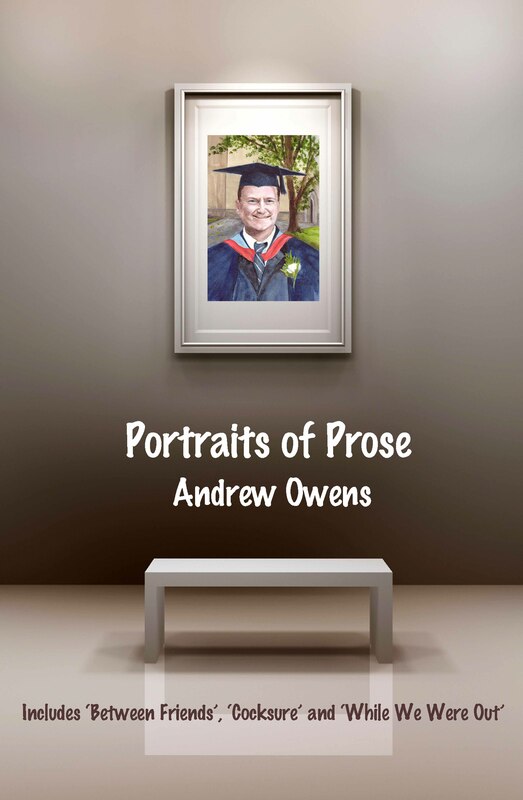 This, his first collection of poems, celebrates his time as Poet Laureate and includes poems about his carrot, plus favourites such as the beautifully melodic The Mermaid And The Mason and Tim’s humour in On My Bidet – For Catherine. Tim holds a performer’s diploma in recorder, and has supplied many instruments to professional and amateur players all over the world during thirty years as a maker. His instruments have been used by leading players and are featured on a number of acclaimed CDs. 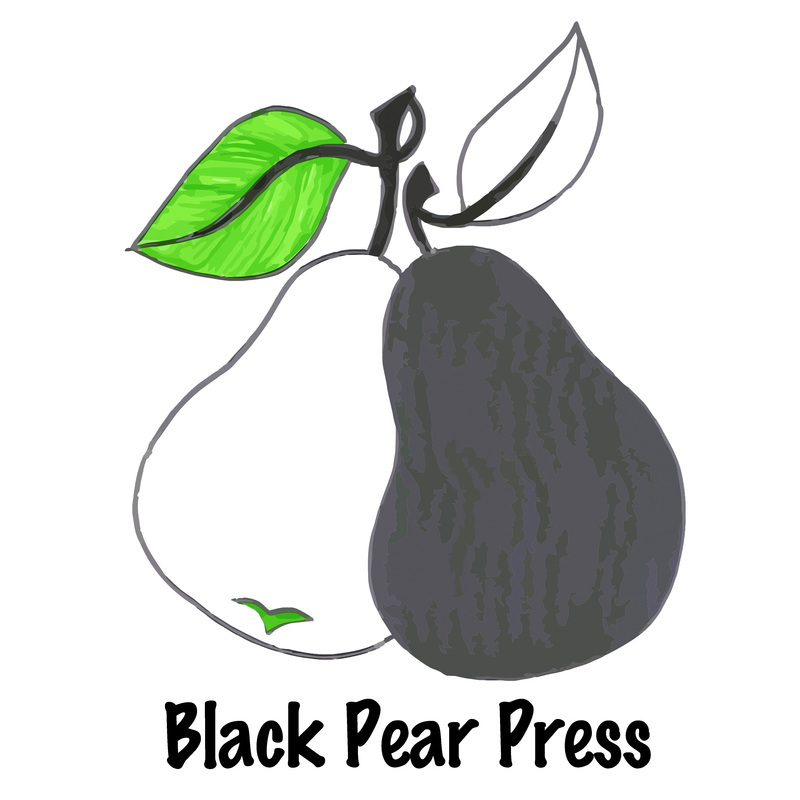 The First Ever Black Pear Press Short Story Competition! We’re looking for short stories of 1500 words or fewer to be submitted to us before 26 September 2014. Closing date is 26 September 2014. The maximum word limit is 1500, not including the title (no minimum). Authors may submit as many stories as they wish. Submitted pieces must not have been published elsewhere, must be the entrant’s own original work and available, if selected, to be published in the anthology. Translations of anyone else’s work are not eligible. Copyright remains with the writer. Entries may be published on the BPP website and may be included in an anthology. 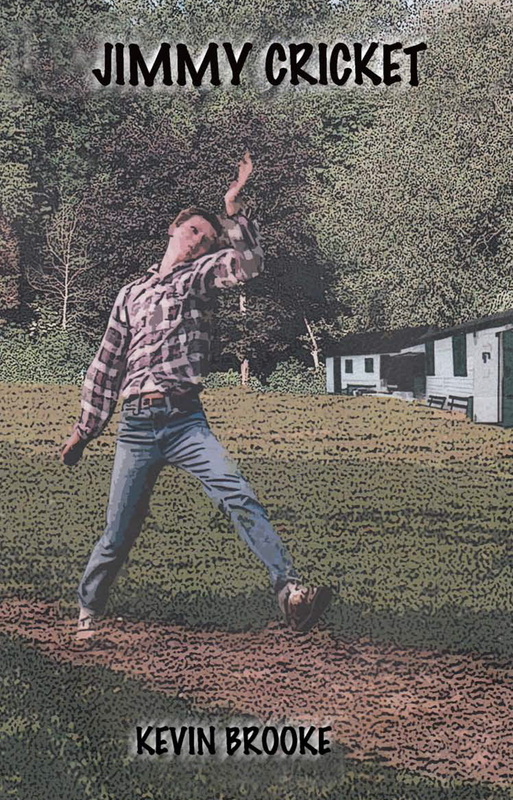 The subject line of the e-mail must read: BPP Short Story. Entries should be attached as a Word or an RTF document. Give your name and contact details in the body of the email, as well as the title and word count of your submission(s) and a circa 50 word profile of the writer in the third person. If you are paying by PayPal, your receipt no/transaction code should be included. Do not put your name or email address on the entry itself. Entries should be single spaced, in a clear font, 12pt. The winners and runners-up will be announced on the BPP website and on the BPP Facebook page. There is no theme. All styles and genres are welcome. No correspondence will be entered into regarding the outcome of this competition. Entry into the competition is taken to be acceptance of these rules. Results announced 14 November 2014. Please note that entries sent without the entry fee will not be considered and stories should be submitted only once. All entries will be acknowledged within 48 hours of receipt of your payment. If you have not heard from us within a week please contact us. It is your responsibility to confirm your entry has been received. No alterations can be made after receipt, nor fees refunded. The judges’ decisions are final and no correspondence can be entered into. No entrant may win more than one prize. Due to the anticipated number of submissions, we cannot accept any that do not follow submissions guidelines and rules. The story unfolds through the eyes of Hester, a celebrity chef whose orderly life is thrown into chaos by her stepson, Simon. She views him with maternal affection, unaware that he harbours a dangerous obsession. 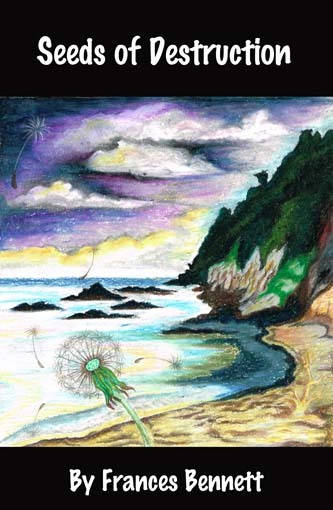 New author, Frances Bennett, is to launch her first novel Seeds of Destruction. Look out for the launch date!